ANOTHER NEW SELECTION DISPLAYED AT THE EASTERN PERFORMANCE TRIALS IN SEPTEMBER. 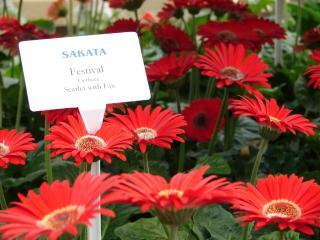 This is one of the many new varieties of annuals and perennials, you'll find at Greenscape Gardens in 2006. We have made a committment to bring new and exciting cultivars of flowers, trees, and shrubs to the St. Louis market.